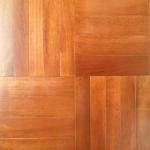 Merbau is a classic Asian tropical hardwood used to make wooden floors .Not only by solid wood but also in engineered wood for flooring.merbau wood is widely recognized as good quality timber material from across the world,particularly in Europe & Australia with same reputation as oak. 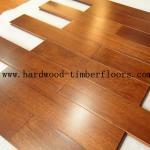 Solid hardwood merbau flooring is very excellent in durablity & stability, just as teak,with high termite & weathering resistance.The material also been widely used on funitures,chairs,cabinets etc.Comparing with Africa or Brazil Origin wood ,merbau is not a high cost timber although with high quality. 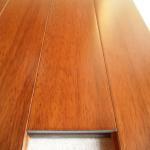 The merbau hardwood flooring cost is lower than Ipe,Cumaru,Walnut etc,we could find big stock of such timber to mill as solid wood floors in South China Millwork Factory.However, merbau is never less valuable than other tropical hardwood. 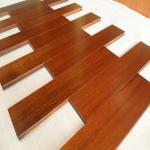 Engineered Merbau flooring: 910x127x15mm/pcs, 1210x165x15mm/pcs,1860x190x14mm(3 strip merbau engineered) etc. 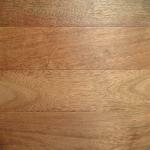 C&L hardwood supply merbau hardwood flooring in different Grades - Premier Clear Grade and Character Grade.Merbau wood is naturally demarcated in sapwood & heart wood.C&L hardwood supply merbau flooring mainly from selected grade Kiln Dried raw merbau wood,it's a garantee of less color varations on surface,more uniform color shade for installation. 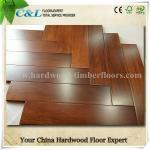 C&L hardwood mill the merbau wood parquet flooring Acacia flooring with four side Tongue & Groove Joint,board to board fit perfectly to each other,very easy to installation.Each board is with slightly 45°Micro-beveled Edge,which makes the the floor looks perfect. Normally Merbau raw wood is properply dried under a MC of 12% in order to produce a qualfied timber floor.C&L hardwood factory present a report as a proof that each batch of all our timber floor kept with moisture content in the range of 10%-12%. Solid merbau flooring from C&L hardwood is sealed by primer pu finish on six sides on floor board , it enhances the dampness resistance to garantee the board stability after long time use. Surface coating is applied by 8 layers primer finish,4 layers top finish.The top finish we use germany treffert aluminium oxide UV coating which greatly enhanced the scratch resistance of the hardwood flooring. 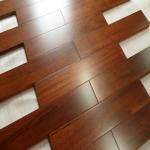 C&L hardwood merbau flooring has a warranty of 25 years residential use under proper maintenance.7 years surface UV coating wear though warranties.5 times more sanding and refinish on the floor board is garanteed.